The proposed Jefferson Parkway does not meet smart 21st century sustainable transportation goals, according to the League of Women Voters of Jefferson County. The League opposes the proposed private toll road on many levels. It fails our tests for adequate public input and transparency, government accountability, and economic sustainability. The League’s opposition to the proposed parkway stems from our in-depth study of the toll road, and is based on its consensus-driven standards for evaluating any highway proposal. 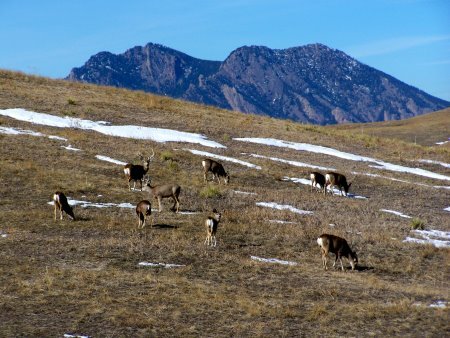 The parkway’s route through the Rocky Flats National Wildlife Refuge needs updated analysis, the League believes. Since the original Environmental Impact Statement was completed, new proposals for commercial and residential development on the east, south, and west refuge boundaries have surfaced. Costs to taxpayers should be clarified. Estimated costs for area governmental entities and the Colorado Department of Transportation range from $300 million to $500 million to construct interchanges at the north and south ends of the toll road in order to actually complete the metro area beltway. The League further believes that questions about the long term consequences of the parkway should be answered. Does it mesh with land use goals for the area? Have all alternatives, including public transit, been considered? Have all environmental impacts, such as those to wildlife and scenic vistas, been assessed? Will the public interest be served if a non-compete clause were included in a private investor’s contract prohibiting improvements along arterials abutting the parkway? Until this information is provided the Jeffco LWV will continue to oppose the Jefferson Parkway private toll road. Ann Roux is the President of the League of Women Voters of Jefferson County. The LWV, a nonpartisan political organization, encourages informed and active participation in government, works to increase understanding of major public policy issues, and influences public policy through education and advocacy. Visit the League’s website, www.lwfjeffco.org, email us at jeffcolwv@netzero.net or call us at 303 -238-0032 to learn more about the Jeffco League’s activities.